Eat more chocolate. Now that’s a health tip almost anyone can follow! Here's how it can help you. Rich and sweet, the delicious treat is quite irresistible. Even ancient civilizations treasured chocolate. The Aztecs used chocolate as currency with its value being par with the value of gold. Throughout history, chocolate has also been highly respected as a medicine. In the 16th century, chocolate was prescribed for a number of ailments: fever, liver disease, infertility, tuberculosis, ulcers, tumors and even pain-relief for labor and delivery. While we don’t prescribe chocolate as a cure-all in the 21st century, it can still be considered a valuable little wonder drug. Researchers at San Diego University recently published a study which revealed eating chocolate can protect against the risk of cardiovascular disease by lowering blood pressure, stabilizing blood glucose (sugar) levels and improving blood cholesterol levels. The study participants were randomly assigned to consume a daily serving of either regular dark chocolate (70% cocoa), overheated or “bloomed” dark chocolate (70% cocoa), or white chocolate (0% cocoa) over a 15-day time period. When compared to participants assigned to the white chocolate group, those consuming either form of dark chocolate had lower blood glucose and LDL (“bad”) cholesterol in combination with increased HDL (“good”) cholesterol levels. The research is not the first to establish the cocoa-cholesterol connection. In September 2009, a study published in The American Journal of Clinical Nutrition revealed consuming cocoa reduced cholesterol levels in individuals who were considered “high risk” for heart disease. The study included 42 men and women with an average age of 70. All of the individuals were diabetic and had at least three risk factors for heart disease including smoking, high blood pressure, obesity, family history, high levels of LDL cholesterol and low levels of HDL cholesterol. After four weeks, blood tests revealed increased levels of good HDL cholesterol and decreased levels of bad LDL cholesterol. How Does Chocolate Lower LDL Naturally? The cocoa in chocolate contains naturally-occurring chemicals called flavonoids, which protect LDL cholesterol from becoming oxidized. You see, LDL or “bad” cholesterol is not really “bad” for you. In reality, LDL cholesterol is essential and beneficial to the body. However, oxidized LDL is dangerous. 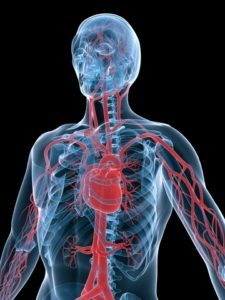 Oxidization occurs when LDL cholesterol has been attacked by reactive oxygen molecules (free radicals) inside the walls of the arteries, and thus induces inflammation, clot formation and plaque build-up. Let’s face it – when we think of chocolate, typically a candy bar comes to mind. Chocolate flavorings and confections are not the same as pure, natural and unprocessed cocoa. Processed chocolate typically contains sugars, corn syrup and saturated fats, which negate any of the positive benefits of cocoa. Consuming confection chocolate (syrups, candies, cakes, pastries, etc.) can lead to weight gain, poor cholesterol levels, high blood pressure and high blood sugar. In order to reap the cocoa benefits, you have to consume chocolate products that contain at least 60% pure cocoa. Try to purchase organic, unprocessed and unsweetened cocoa powder and add it as a flavoring to your healthy drinks and foods (almond milk, smoothies, oatmeal, etc.). 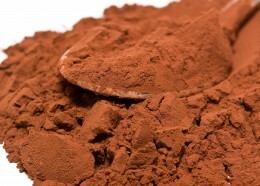 Limit your daily dose of cocoa to no more than 40 grams (approximately 5 tablespoons) per day. Since there is a direct correlation between insulin and triglycerides levels, carbohydrates (specifically sugars and grains) should be avoided or greatly reduced. Replace sugars and grains with green leafy vegetables. Reducing dietary fats will not be an effective way to lower LDL naturally. In fact, research shows that low-fat diets may actually elevate cholesterol levels. Instead of thinking low-fat, think good-fat. More than the amount of fats you eat, the types of fat you eat are what really matter. Specifically, the important omega-3 fatty acids found in fish oil play a key role in maintaining heart health and lowering cholesterol naturally. Replace sodas and sports drinks with water, smoothies or herbal teas. Christina Orsa, Deva Plumlee, Alely Wright, and Mee Young Hong. Federation of American Societies for Experimental Biology. “A Serving A Day Of Dark Chocolate Might Keep The Doctor Away.” Medical News Today. MediLexicon, Intl., 26 Apr. 2012. Web. 31 May. 2012. Maria Monagas, Nasiruddin Khan, Cristina Andres-Lacueva, Rosa Casas, Mireia Urpí-Sardà, Rafael Llorach, Rosa Maria Lamuela-Raventós, and Ramón Estruch. “Effect of Cocoa Powder on the Modulation of Inflammatory Biomarkers in Patients at High Risk of Cardiovascular Disease”. The American Journal of Clinical Nutrition. September 2009. Lichtenstein AH, Van Horn L, for the Nutrition Committee. Very low fat diets. Circulation. 1998;98:935–939. add, bad cholesterol, blood cholesterol, blood cholesterol levels, blood pressure, blood sugar, cardiovascular, cardiovascular disease, chocolate, cholesterol, cholesterol levels, cocoa benefits, corn, corn syrup, diabetic, diet, fish oil, food, free radicals, glucose, good cholesterol, hdl, hdl cholesterol, health, healthy drinks, heart disease, heart health, high blood pressure, high blood pressure and, high blood sugar, infertility, inflammation, insulin, ldl, ldl cholesterol, liver disease, lower ldl, lower ldl naturally, lowering blood pressure, lowering cholesterol, lowering cholesterol naturally, medical news, milk, nutrition, obesity, omega 3, omega 3 fatty acids, organic, oxidized, pain, pain relief, smoking, sugar, sugar levels, Triglycerides, triglycerides levels, tuberculosis, ulcers, vegetables, weight gain.